My first trip of 2019 was to Lisbon, during a whirlwind of emotions. Just a few days prior, I had landed myself a new job. I was nervous, overwhelmed, and then I had to get on a plane a day later. Needless to say, I did not feel prepared. My mantra for Lisbon became this: enjoy every minute. It’s hard not to think about something when it’s coming. When it feels like it’s looming over you. But Lisbon made the transition a little easier. I was leaving my old self behind and becoming a stronger, independent person, doing a job I loved. So, I jumped on the plane and waved good bye to the UK. The next few days, I would not be looking back. And it turns out, Lisbon has been one of the most beautiful, fun and exciting places I’ve ever visited. 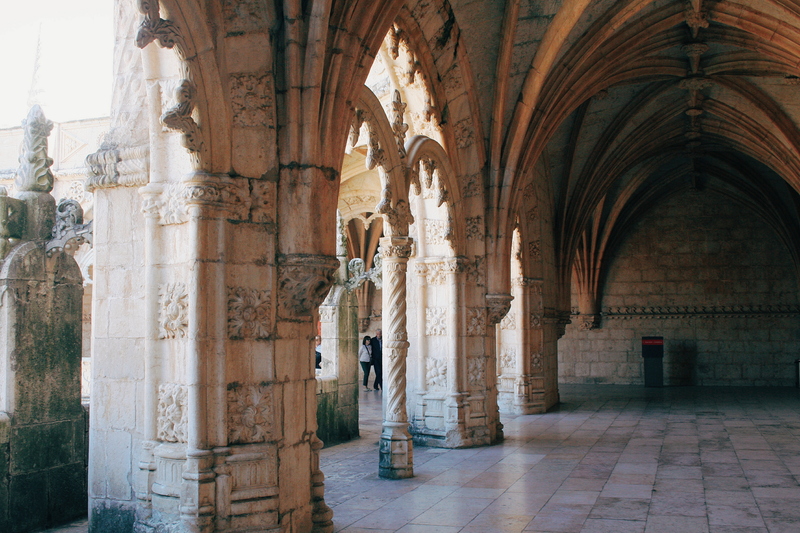 Friendly and full of culture, Lisbon had been chosen on a whim. But that whim meant lovely weather and a less touristic capital with so much more to offer further into the countryside. Apart from my trip to Amsterdam, I’ve never felt like I was missing out on what’s outside of the capital. But two full days in Lisbon and beyond is by far not enough, and I have plans to return and visit some of the smaller cities and landmarks in Portugal. Lisbon is, by far, one of the easiest cities (that I’ve found) to get around. While walking may not be the best idea in the heat and on the hills, Lisbon’s public transport is accessible and numerous. Buy your Lisbon Card at the airport, and you’ll get access to all forms of transport. From buses, trams, the metro and the local train service. We hopped on the tram to get to and from Belem, the train to Sintra and back, and the metro to and from the airport. Easy! Known as ‘The City of Seven Hills’, Lisbon is the best city to find the shot you’re looking for. With ‘miradouros’ (or viewpoints) dotted around the city, you’ll be spoilt for choice (and your Instagram is gonna be poppin’). One of my favourites include Miradouro de Santa Luzia, just on the outskirts of Alfama. Naturally, it’s at the top of a steep hill, most places are in Lisbon. But the views and the atmosphere itself is absolutely stunning. There were one or two buskers playing soft guitar, other tourists talking quietly and having a drink on the benches, while others snapped photos of the view. Throughout most of my trip, I felt like I was stood in a postcard. And while, like many other tourists destinations, there were people selling selfie sticks and annoying tourists riding around on segways, Lisbon hasn’t lost any of its ‘essence’. 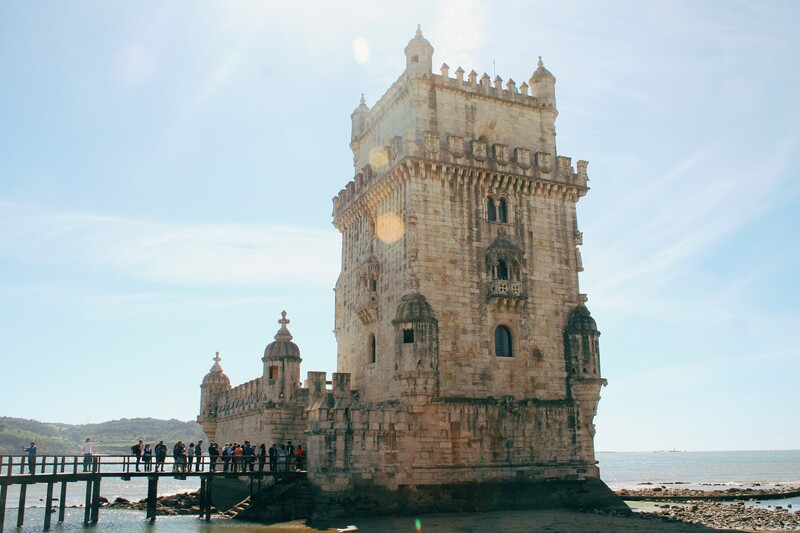 The first place we visited was Belem, a parish of Lisbon that’s wildly popular. I think about 98% of people roaming around were tourists. 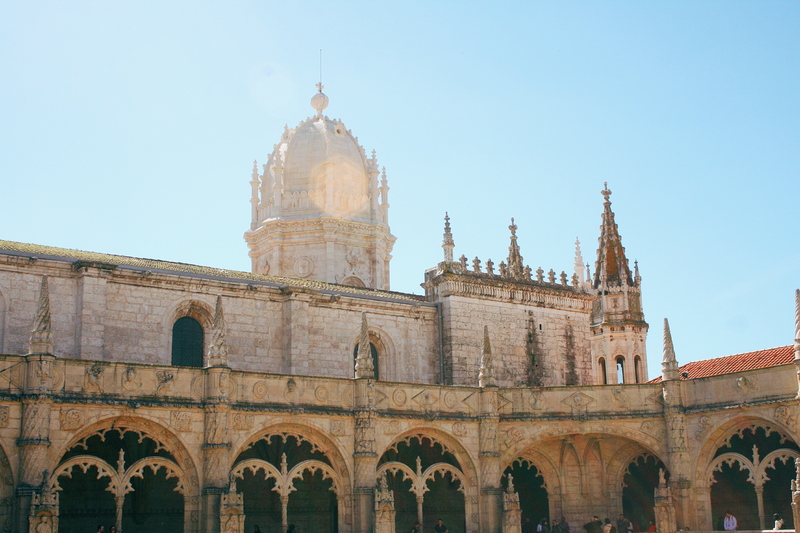 And it’s all because of these two beauties; Jeronimos Monastery and Belem Tower. Close to one another and both over looking the River Tagus. Just like Lisbon’s miradouros, these places are busy, but they are both still quiet and peaceful places to visit. All I did was take pictures and wander. I never queued, never felt crowded, was never confused by where I was supposed to be or go. Everything was simple. That, essentially was the vibe in the whole of Lisbon, but especially Belem. It was also a beautiful day, and despite it being the beginning of March with a nice soft breeze keeping the air cool, I still got major sun burn on my face. Turns out walking along a promenade in the midday sun in Iberia without sun screen is not good for the skin. Who’da thought it! Back in Lisbon city centre, just wandering around the narrow, steep streets is a marvel. Take a tram to the top and work those thigh muscles to find hidden bakeries and fantastic views. 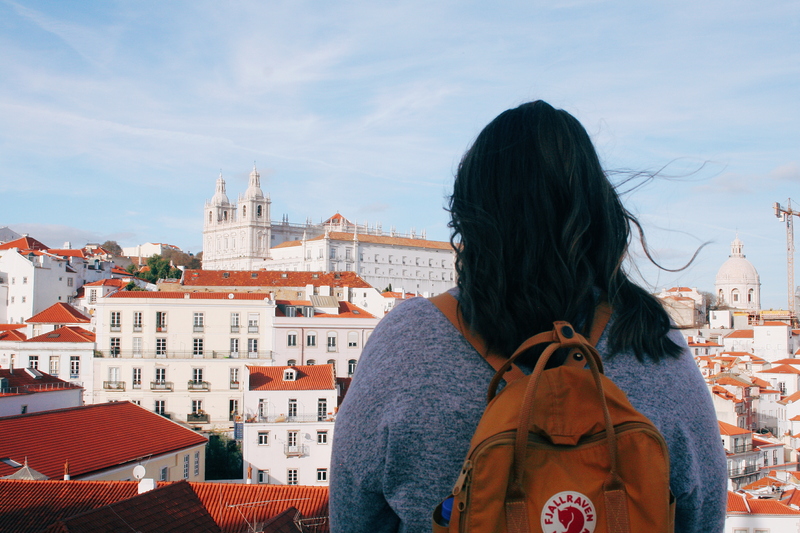 There isn’t a part of Lisbon you shouldn’t be exploring. This includes Bairro Alto, the city’s trendy district that comes alive at night. Now, while I’m not one for getting drunk in another country with just one other friend, Bairro Alto is known for it’s authentic festa scene that spills out into the steep streets and stays dancing until the sun comes up. 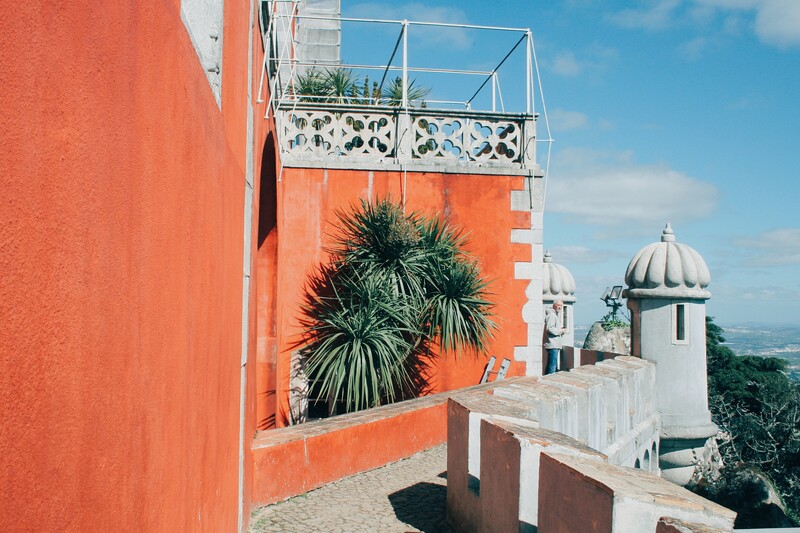 Just outside of the city on a short train journey is Sintra, with the famous Pena Palace resting on top of the Sintra Mountains. It was one of the priciest parts of our trip, but it still doesn’t break the bank. Nothing in Lisbon really breaks the bank! You take a short bus up to the top (or hike if you’re feeling brave and have a whole day to kill), and pay to get into the grounds. After that, you’re free to roam around the castle and marvel at the spectacular views of Western Portugal. Bare in mind, it’s constantly busy up there, and the strong winds can also make you feel like you’re about to fall off the mountain. So it might not be a trip for those afraid of heights. 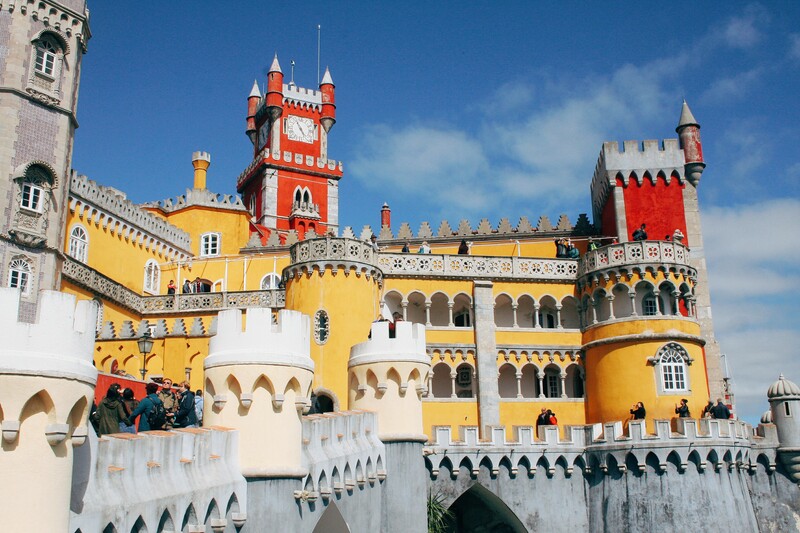 But trust me, if you have time, spend the whole day at the castle and in the perfectly picturesqe town of Sintra. We unfortunately only had the morning, but it’s on my bucket list to go back and experience (what would usually be) a sleepy town in Portugal. As you know, I love a good hostel. For me and for many travellers looking for a cheap yet safe option when visiting their favourite destinations, I always look at hostels before considering anything else. 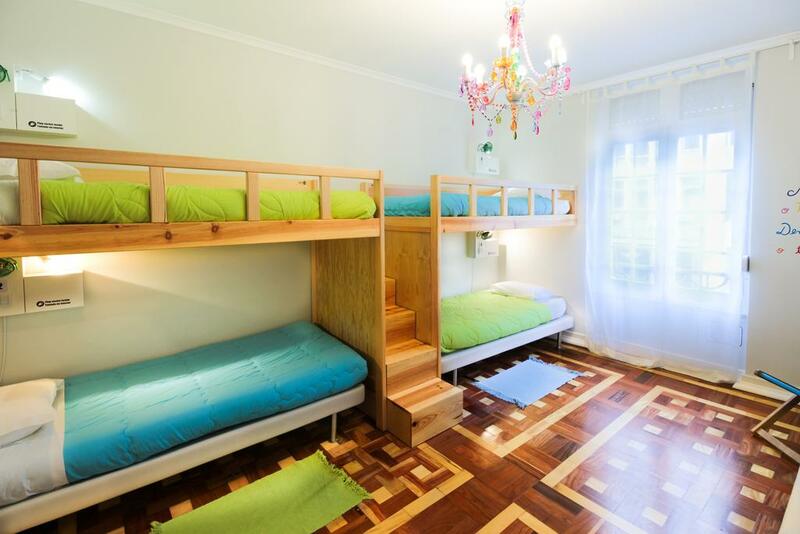 Hostelworld is my go-to, with filters for female dorms and prices per night. You can see where each hostel is on the map, if your stay includes breakfast etc. I’m not sponsored by Hostelworld, but I wish I was! In Lisbon, we stayed in Lisboa Central Hostel, which is by no means the most popular hostel in Lisbon, but was one of the best experiences I’ve ever had in one. I would highly recommend this hostel for solo travellers, as the social side to the place was incredible. Breakfast is served from 8-11am, cooked and provided by the hostel’s chef in a cute kitchen with lots of seating for everyone to eat together. It’s also the first hostel where we’ve properly interacted with our dorm mates, and we talked every night and all night, shared wine and snacks and discussed travel plans. Usually my friend and I speak politely to other people and then amongst ourselves, but the girls that stayed with us were absolutely lovely and embraced the hostel spirit! I would recommend Lisbon to everyone. 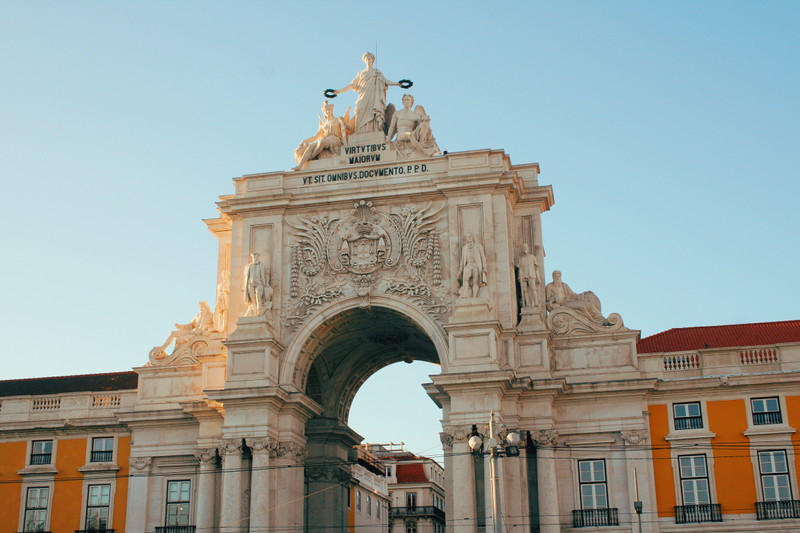 For the new and the experienced traveller, Lisbon is a fantastic and peaceful trip away. Would it be so peaceful in the height of summer? I don’t know. But even in March, the air is warm and the sun is shining. So don’t feel like off-season means that it doesn’t feel like a summer holiday. 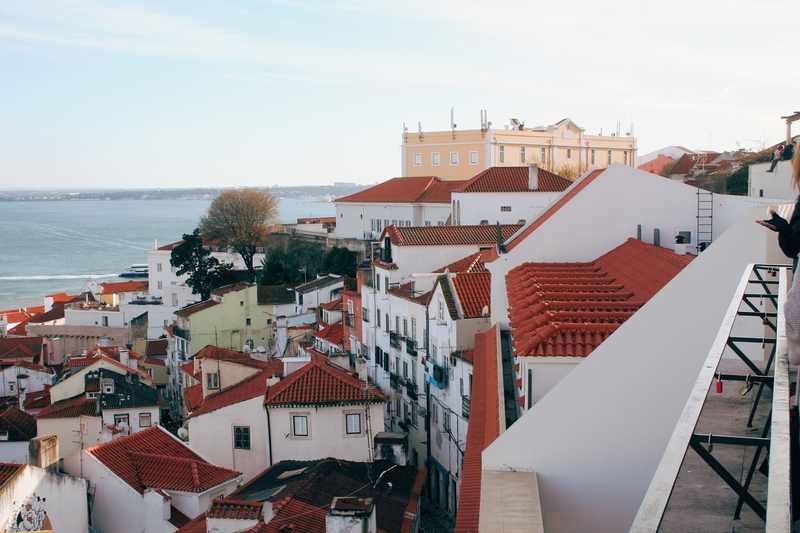 And while Lisbon is a smaller capital, it still has so much to offer, from delicious local delicacies for dinner and stunning sunset views everywhere you turn. Go for three days, a week, two weeks! I know I will be next time. Lisbon, I’m coming back for you.